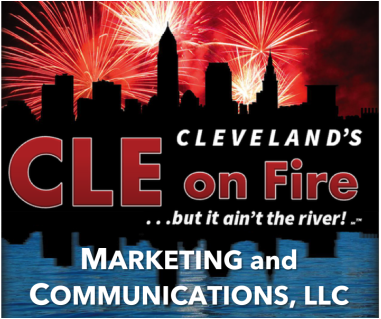 CLEveland’s on Fire Marketing Communications™, LLC is a multi-faceted, full-service marketing creation company that uses a consumer centric approach to build brands and move products in any marketplace. CLEveland's on Fire delivers dynamic, fully-integrated marketing solutions to optimize your marketing investment and deliver results to your universe. CLEveland's on Fire is proficient at developing and Initiating a business marketing-mosaic of strategy, initiatives, design, sales, digital, social, mobile, print, photography, video, content creation & media relations across all channels. We deliver marketing, media, merchandising, creative design , logos, slogans, PR, cross channel new media to clients that are looking to promote products and services. Some of our work. . .